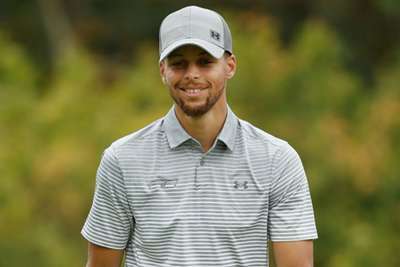 Golden State Warriors star Stephen Curry believes his love for golf may have influenced the Minnesota Timberwolves and their decision not to select him in the 2009 NBA Draft. Curry – a two-time MVP and three-time NBA champion – was taken with pick seven by the Warriors nine years ago. The 30-year-old guard who made a $25,000 donation to golfer Scott Harrington as his wife Jenn battles Hodgkin Lymphoma after missing the cut at the Web.com Tour's Ellie Mae Classic. Curry was a guest on The Bill Simmons Podcast on The Ringer and claimed the reason the Timberwolves opted not to grab him may have had something to do with his love of golf. Simmons asked: "When you go to Minnesota, do you have a little something extra for them? Or do you not have any bitterness anymore?" Curry responded with his own theory, saying: "My guy David Kahn. I don't know where he's at right now. I don't know if that ever came out. There's a story… Everyone knows how much I love golf and play it in my spare time or whatnot. "I think the word on the street was that he didn't draft me because Minnesota is cold and I wouldn't be able to play as much golf so I'd be miserable." Simmons again asked if that was true and Curry replied with, "I hope it's true because that's hilarious."